Medical Faculty Associates faculty said administrators must improve communication and align the goals of the three centers before pursuing an official partnership. 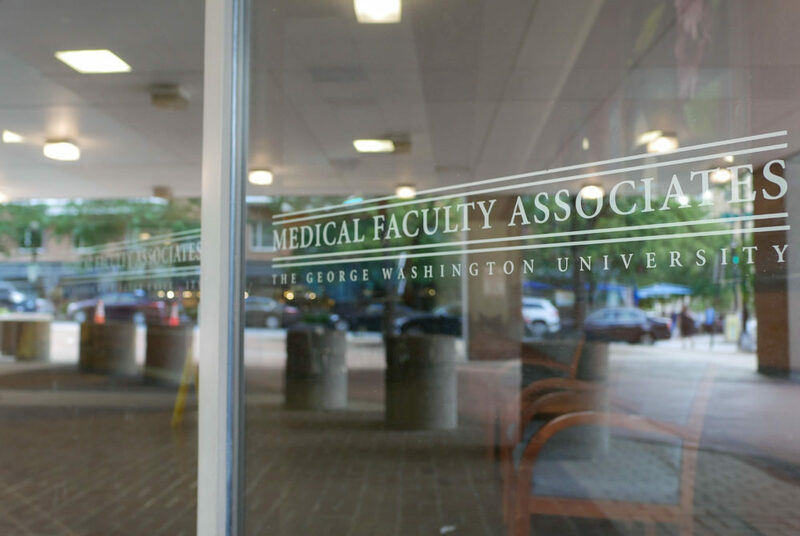 As the University attempts to bridge the divide between the medical school, the Medical Faculty Associates and GW Hospital, MFA faculty said administrators must improve communication and align the goals of the three centers before pursuing an official partnership. University President Thomas LeBlanc named the medical enterprise as one of his five strategic goals last month, announcing that the MFA, medical school and GW Hospital had embarked on a joint strategic planning initiative. The goals include renewing the academic affiliation agreement between the medical school and the MFA, expanding the “clinical and training footprint” and considering brand consolidation for the three entities, according to the University website. But MFA faculty said communication between the groups needs to be improved to ensure the entities can collaborate to complete long-term research projects and meet University-wide medicine and research goals. “We are able to provide our students with a well-rounded academic experience that enables faculty to get involved in teaching and students to learn from experts in the field,” Banner said in an email. Eight professors in the MFA said LeBlanc’s goals are steps toward increasing communication between the groups and improving speed and accuracy when completing projects – but some said the University still has a long way to go to improve interactions before consolidating the brand. Rajeev Pandarinath, an orthopedic surgeon and an assistant professor of medicine, said LeBlanc’s initiatives may increase research funding for the University by encouraging more clinicians to apply for funding and bringing in grants from outside sources, which would enhance research projects under the partnership. “It could foster an even stronger relationship between all three entities and increase research funding for the University, and it could increase the prominence of the medical school,” he said. Raj Rao, the chairman of the department of orthopedic surgery and member of the MFA, said the University may consider using an umbrella term, which will include all three entities under one brand name, to make patient care more seamless and accessible. Rao declined to give the designated term. Although doctors from the MFA and GW Hospital work in separate buildings, they work as one entity, he said. “We are in a way formalizing the brand for our patients to reduce any confusion they may have,” Rao said. One GW, which launched in September 2016, intended to bring together the three medical identities under one umbrella to foster a more collaborative relationship between the groups and improve patient care. Gurusher Panjrath, an assistant professor of medicine, said it takes longer for decisions about research to be made under three separate institutions, where a single decision about a project has to get approved by at least two authorities, which he said has frustrated faculty working on collaborative projects. With three separate institutions, Panjrath said patients often get confused where they should go for their medical needs. Panjrath said physicians in the medical school often hear about MFA projects after they are completed, before they are able to offer assistance or form a partnership. He said it is difficult to find research partners from the other institutions because there seems to be a “firewall” that prevents collaboration between the two institutions. Kathleen Parr, an assistant professor of anesthesiology and critical care medicine, said in the past, faculty and employees in each entity haven’t had the same goals, making it difficult to accomplish research projects.